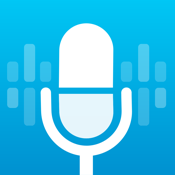 Voice recording apps serve a number of different functions and can prove useful to people from all walks of life. Whether you are recording notes from a business meeting or you are a writer who is simply jotting down some thoughts from a momentary burst of inspiration, the apps in this list are sure to help you out along the way. 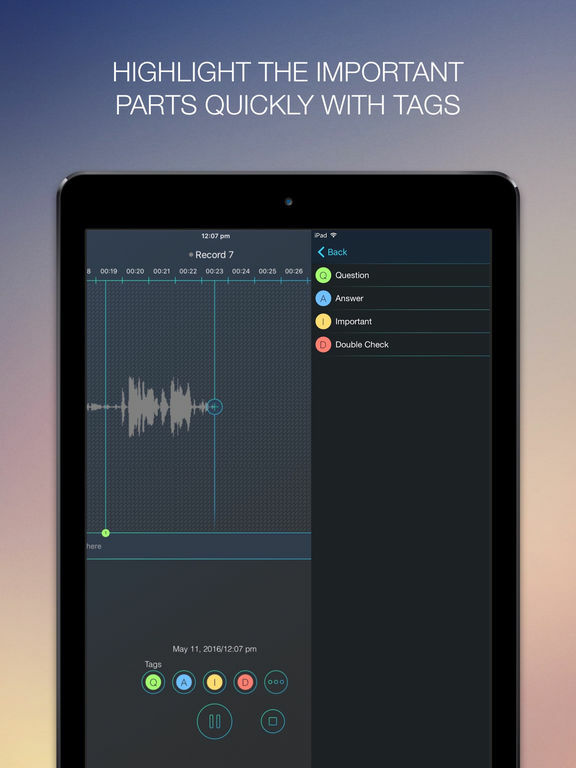 This might just be the most advanced and impressive voice recording app on the iOS. Quickly and easily record conversations for work or personal purposes and then add comments, share your recordings, use tags to highlight parts of the recording, create different folders to organize your recordings, export files to Dropbox or Google Drive, search your library for recordings, open audio files in this app, use interview mode to cover screen and prevent distractions, add a RecApp widget for quick access. There is an in-app purchase for the premium version of this app, which unlocks all of the features. This is a great and high-quality voice recorder app which is available for free on the App Store. Users can place orders to have their audio recording transcribed at $1 per minute of audio, and the turnaround time is under 12 hours. 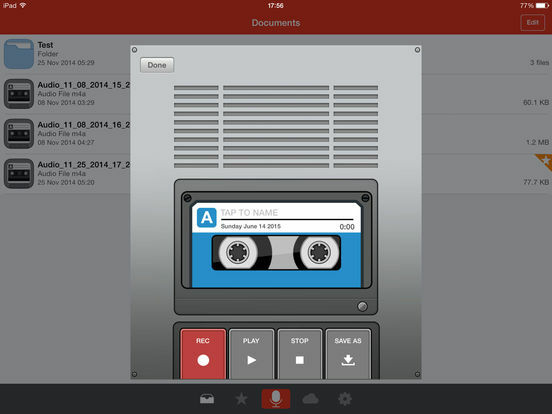 Recordings as well as transcripts can be easily viewed in one place and shared easily via the app. 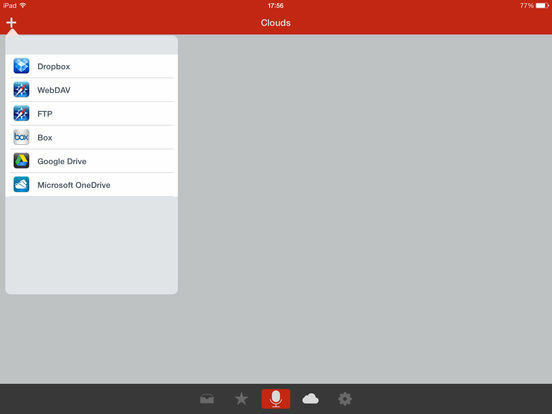 The built-in search function lets you look for a file by the name, location, or date of recording. 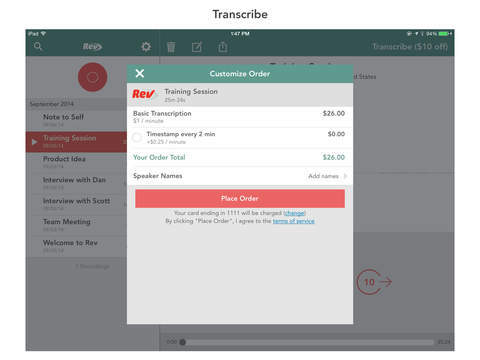 This is an easy to use app which makes transcription foolproof and easy. 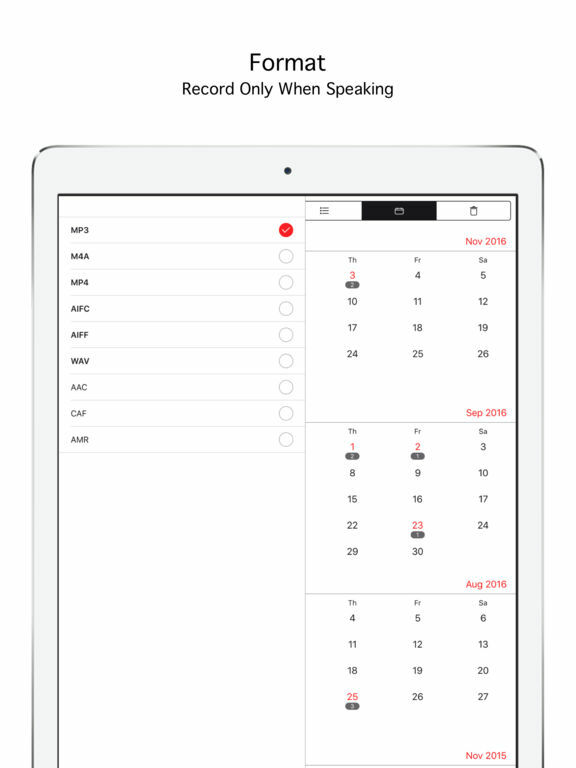 Users simply need to use the app to record the audio they would like transcribed, and the app will assign the file to a real typist who will transcribe the file. The file is then passed on to an editor and finally a proofreader to ensure the file is free of errors and looks neat and tidy. Users are charged per minute of audio rather than by word or time taken to type. 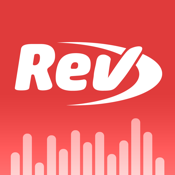 This isn’t just a voice recorder, it’s also an audio player with many cool features. You have access to a range of playback functions and sound effects, which gives you the power to customize your listening experience. 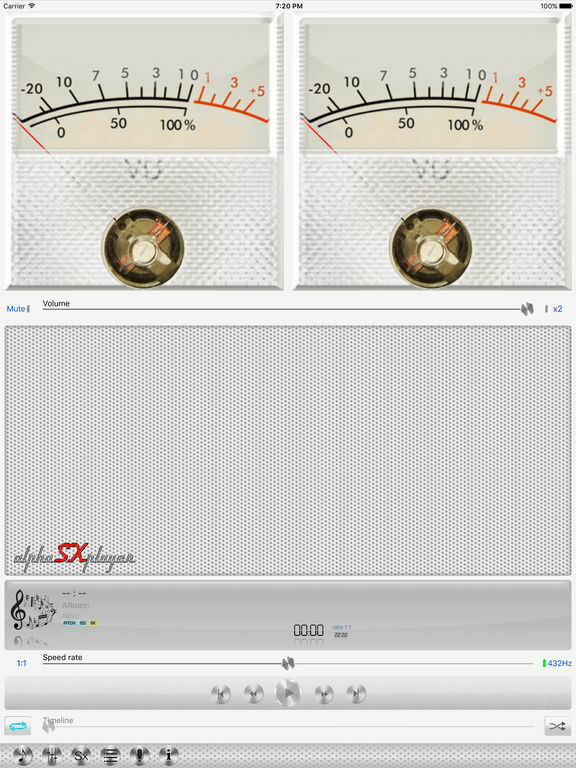 Change the speed, custom pitch, toggle between pitch tuning, ten bands equalizer, built-in sound effects, preamplifier and more. 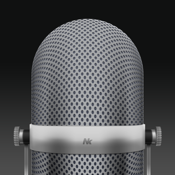 The built-in voice recorder users your iDevice’s microphone and stores the recordings in MP4 format. You can then add some of these awesome sound effects to your recorded file, if desired. There is an in-app purchase for the premium version. 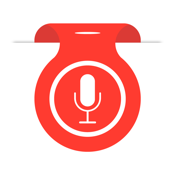 This is a very well developed voice recording app which offers an impressive array of import and export features, supporting Google Drive, Box Cloud, and Dropbox to name but a few. One exporting feature that sets Voice Record Pro apart from much of the competition is that it allows you to post your recordings as movie clips on Facebook and YouTube. Of course, you can also share your clips privately with other people via email and text message if you prefer. Notes and photos can be attached to your recordings, and you can keep everything safely away from prying eyes thanks to passcode protection. 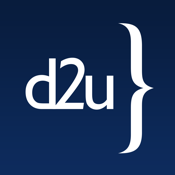 Check out our review for more details on this great app. 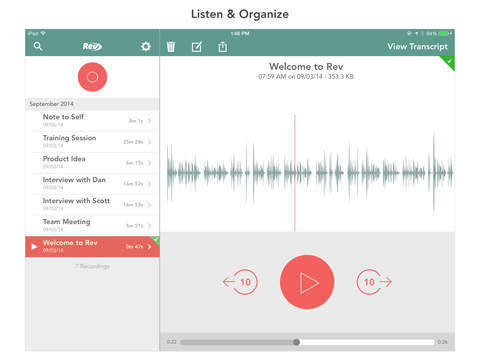 AVR is an awesome voice recording app and one you should consider downloading. 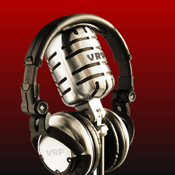 The audio files can be saved in popular formats with high quality and unlimited recording time. 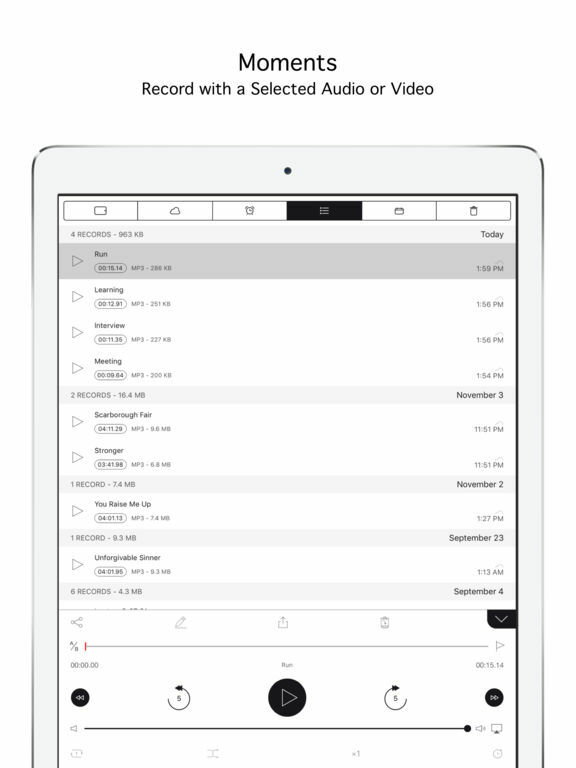 The app can record while in the background as you use other apps on your iPhone, stereo options, quickly restart recordings, microphone compatibility, quick to record and you can even see how large the recorded audio file is. The sharing functions are great, file management is just as good, and you can even trim your recordings. Some of these features do require an in-app purchase. 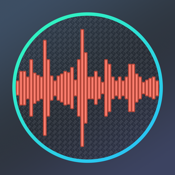 If you would prefer a slightly simpler voice recorder app then you might want to check out this one because it offers a very basic and intuitive interface that you should be able to understand how to use within a matter of seconds. 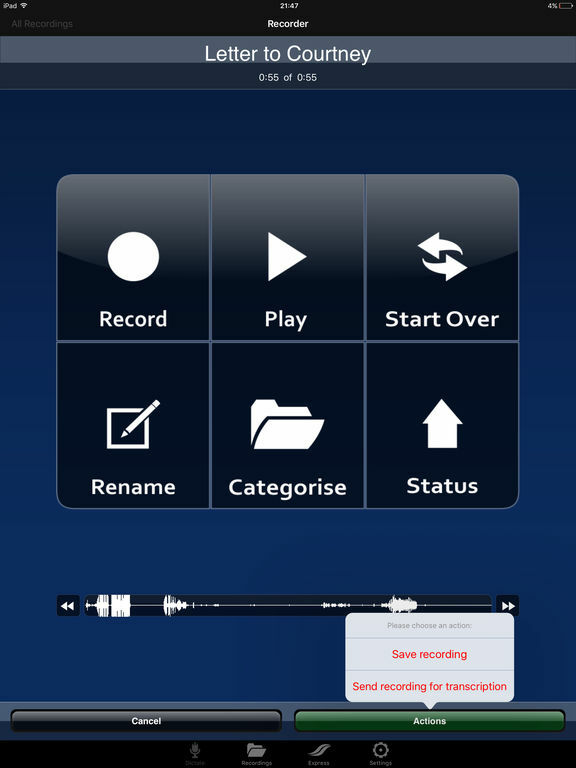 One small feature of this app that sets it apart from much of the competition is the ability to loop your recordings. 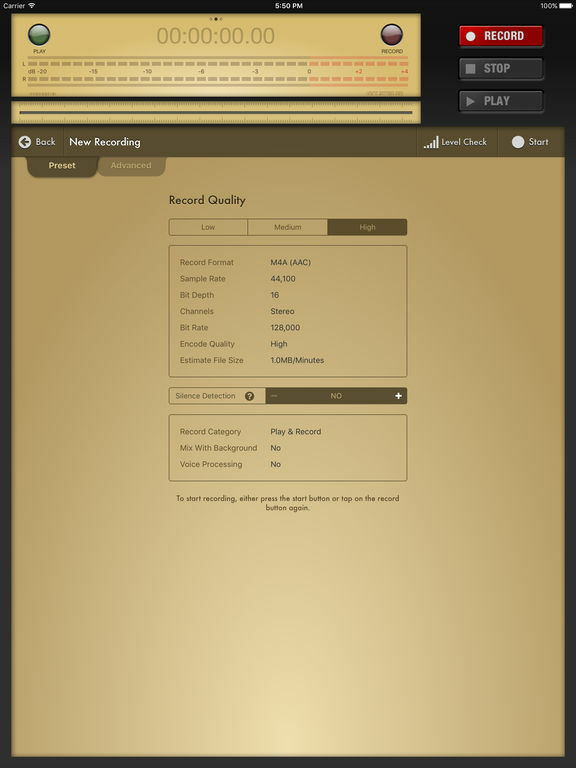 You can even add recordings to your favorites list for quick and easy future access if required, and this app allows for an unlimited number of recordings to be stored. 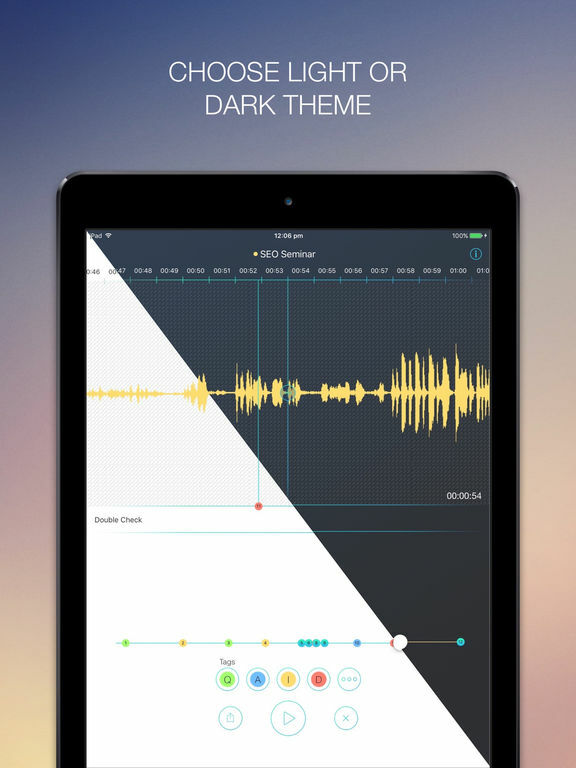 Recorder Plus II for iPhone and iPad offers a truly gorgeous interface that makes it easy for you to record voice clips, music, and any other audio that you might need. You also have the option of exporting your recordings to your computer via Wi-Fi, or of sending them to other people via email. If you want to play your recordings through external speakers then this can be achieved via AirPlay, and recording can also be done externally with the use of a Bluetooth device or external microphone. 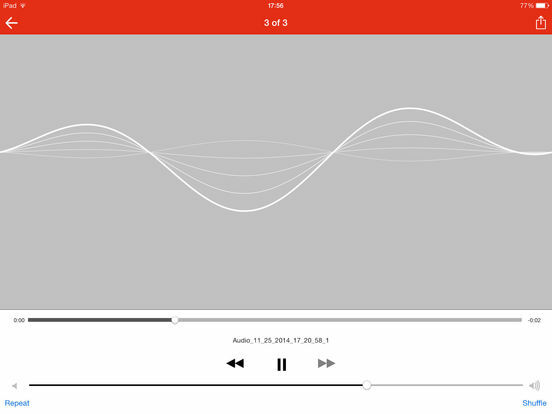 What makes PCM so great is the simplicity of the app. It’s not bogged down by numerous features which some users don’t want or need. 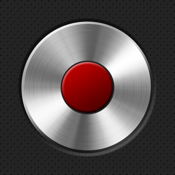 Just start the app and click the big red record button. When done or needing to pause, just hit the stop button that’s a large square. 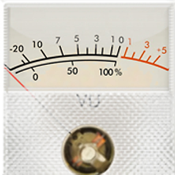 The files are saved in popular formats and you can set the bit rate or sampling rate to whatever you desire. 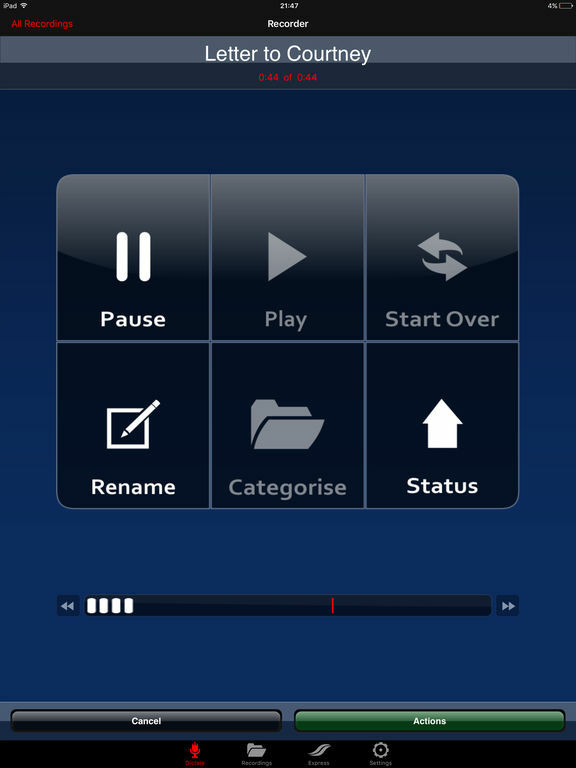 The app can record while in the background and even play audio files in the background. 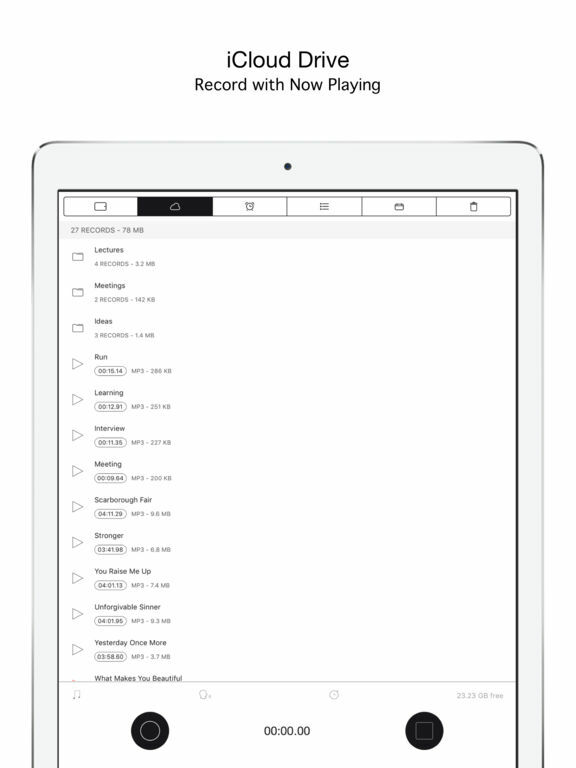 The simple file management system makes it easy to save and find your recorded files. 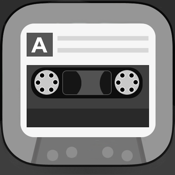 The developers claim that this is the easiest recording app ever. If it’s not the easiest, it certainly is one of the easiest apps to use for recording purposes. We like how convenient and simple it is to record in audio or video. 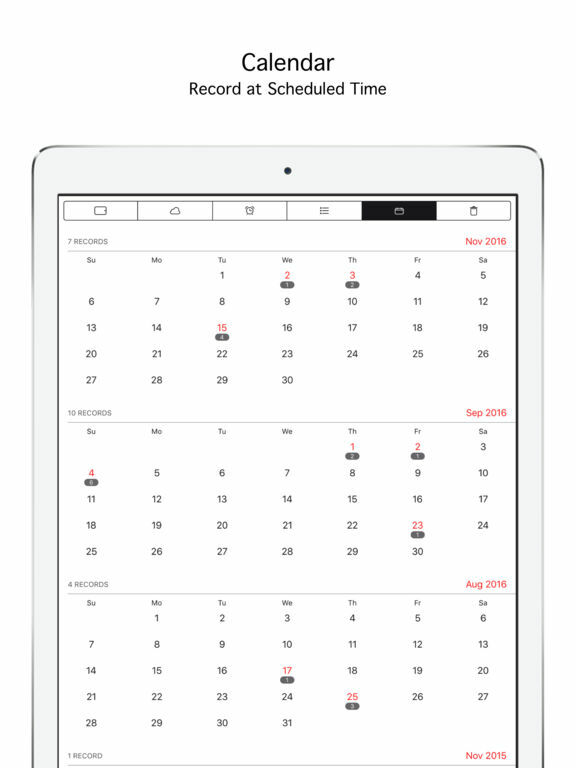 Additionally, you can schedule a recording time. Record only when speaking, save to albums and even make a ringtone. There are simple to use editing functions like trimming, mixing and merging. You can even encrypt your files. 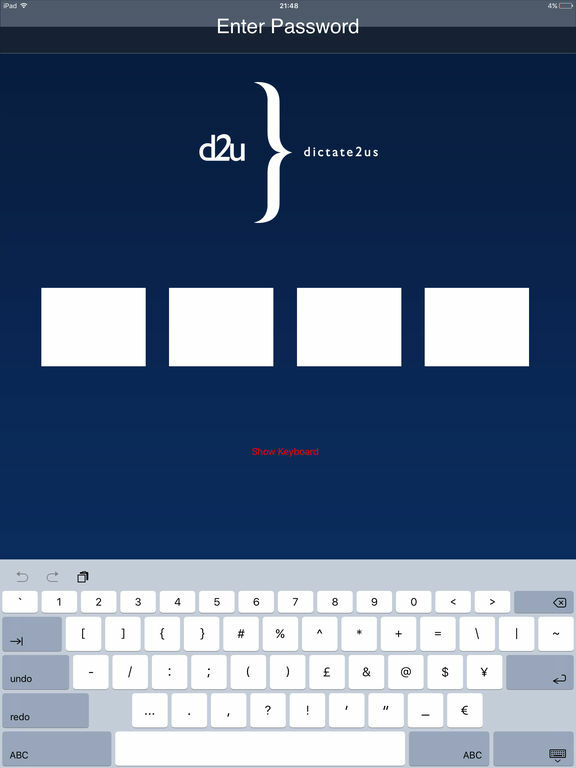 The app makes it very simple to perform these functions with a user friendly interface.